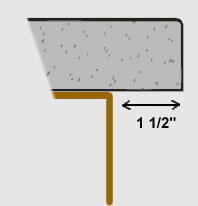 Additional custom edge profiles are also available. See showroom consultant for more details. 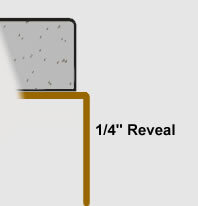 There are three different sink overhang options; ¼” overhang, flush, and ¼” reveal. 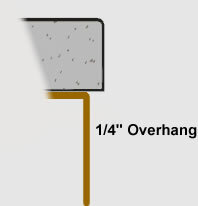 Our standard is the ¼” overhang. We feel that this is the cleanest appearance and offers protection from water entering between the countertop and the sink. 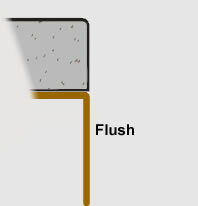 The flush (no overhang) provides a very neat appearance, but does not allow for variations in the sink product itself. The reveal option allows the sink top to be exposed. This can trap water on the edge of the sink and can become very unsightly over time.